By now you’ve probably seen or heard of this wild motorcycle jump. 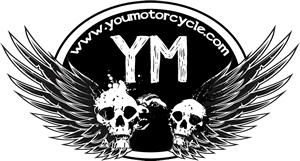 It went flying over a California highway, and was the talk of the online motorcycle world. And like any motorcycle stunt that goes viral, well, you know, the hero (or culprit in the opinion of some), might just get arrested. 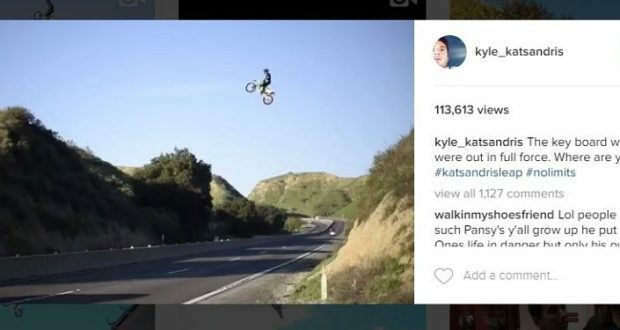 Some less than cool folk are calling for the arrest of Kyle Katsandris while others are sticking up for him, after he posted a video on Instagram of himself jumping his motocross motorcycle over Highway 60 just outside of Moreno Valley, California. Beneath Katsandris, vehicle traffic flows, perhaps unknowingly, as he soars across the sky of the four lane highway. Journalists were told by local police that law enforcement would be investigating the incident. It brings to mind a couple instances of motorcycle past. For example, this former motocross racer, turned California real estate agent uploaded a video of his morning work commute, including on-road stunts, which drew some unappreciated attention from police. Another example of uploads getting people into trouble? In British Columbia, Canada, this rider uploaded a video of himself doing over 300 km/hr and went to trial. Katsandris has nearly 24,000 followers on Instagram, many of whom came to his defense. His fans stated that the stunt was not nearly as difficult or dangerous as the media is making it out to be. Well, watch the video and make your own decision. Dangerous or not, you can’t blame the squares for being a little afraid of something going wrong and motorcylist going crashing through their windshield as they make their way to work in the morning? But, s–t happens and have the jumpers thought this through? I rather watch Katsandries than the Kardashians, or Cheeto, that’s all I can say.